Deeply affecting and diverse in perspective, The Poetry of the American Civil War is the first comprehensive volume to focus entirely on poetry written and published during the Civil War. Of the nearly one thousand books of poetry published in the 1860s, some two hundred addressed the war in some way, and these collectively present a textured portrait of life during the conflict. The poets represented here hail from the North and the South, and at times mirror each other uncannily. Among them are housewives, doctors, preachers, bankers, journalists, and teachers. Their verse reflects the day-to-day reality of war, death, and destruction, and it contemplates questions of faith, slavery, society, patriotism, and politics. 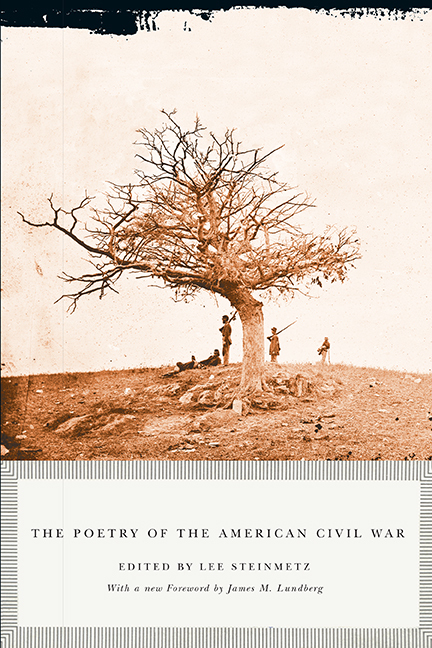 This is an essential volume for poetry lovers, historians, and Civil War enthusiasts alike. Lee Steinmetz is Emeritus Professor of English at Eastern Illinois University.